St. Vincent Catholic Charities will be participating in Eastbrook Homes’ Taste & Tour Event Celebration as a non-profit partner at the Pointe West location in Grand Ledge from September 21 through 24. In lieu of charging admission, guests are asked to donate to the local non-profit event partners, with all donations being matched by Eastbrook. The event is scheduled to run from 4:00 – 8:00 p.m. on Thursday and Friday and 12:00 – 4:00 p.m. on Saturday and Sunday. Food will be provided by Zaytoon Mediterranean and drinks will be from St. Julian Winery. At the Grand Ledge location, participants in the event will have the opportunity to win two MSU football tickets provided by Dart Bank. The Pointe West location is located at 10599 Saddlebrook Dr, Grand Ledge, MI 48837. Event locations are spread throughout the region: on the lakeshore between Whitehall and Holland, surrounding Grand Rapids, and in the Greater Lansing Area. By matching donations from the event, Eastbrook has set a goal of raising $80,000 total for all participating non-profits. 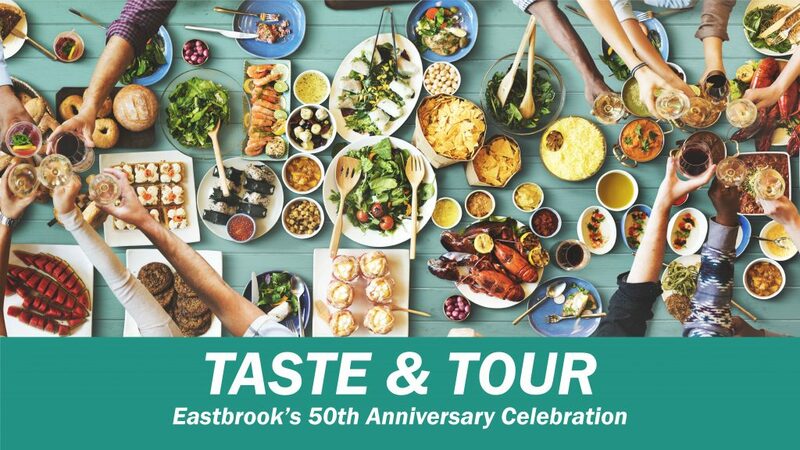 For more information on the Taste & Tour events and how to register, please visit https://eastbrookhomes.com/taste-and-tour-celebration/ or contact Bob Sorensen from Eastbrook Homes at 616-455-0200.